A collection of colourful and elegant dance sarees in cotton fabric with minimalistic patterns for all the ladies who are ardent fans of our traditional dance. Actual product represents only the saree. Blouse and leggings displayed in the image are for photo shoot purpose only. Make to order products cannot be returned/exchanged. Credit/Debit card and online bank transfer. This product qualifies for free domestic air shipping. A collection of colourful and elegant dance sarees in cotton fabric with minimalistic patterns for.. Ethnic Silk Gowns for your baby to dress up for your traditional ocassions! ..
Get amazing tops at unbelievable prices this monsoon season and totally revamp your wardrobe.. Kids and teens can be equally dressed like women. Let the little ladies at your home get an ethnic r..
Get pretty kurtis in luscious colours which look pleasant for this summer. Pair them up with legging..
Beautiful Tops teamed up with trending palazzos in stylish patterns have freshly arrived for this se..
For all the busy ladies out of there. Here is the perfect pick for you. The sarees are designed to s.. The bedroom of your home must exude warmth and comfort. This lovely printed bed sheet set by the bra..
Get into the world of Georgettes with these pretty pretty salwar suits designed to perfection. ..
Let the kids sizzle with these cool and vibrant shirts designed for this season. The little princes .. Pretty pretty soft luscious drapes in sinfully pleasant hues for the princess in you. ..
A new series of cotton wear with no compromise in design or style. Presenting you awesome bunch of s..
Freshly woven batch of silk cotton sarees in eye capturing colours for you to dazzle this summer.The..
A saree with magnetic combination of colours combined on vivid embroidery provides an ultra glam loo..
Get casual and sleek salwar suits designed to suit casual occasions. ..
100% COTTON 4 Yards Velcro Readymade pocket dhoties.. This cute dress will make your baby comfortable throughout the party. Featuring a back zip closure, ..
Handloom soft silk sarees in vivid shades styled with beautiful zari work on the body and pallu. 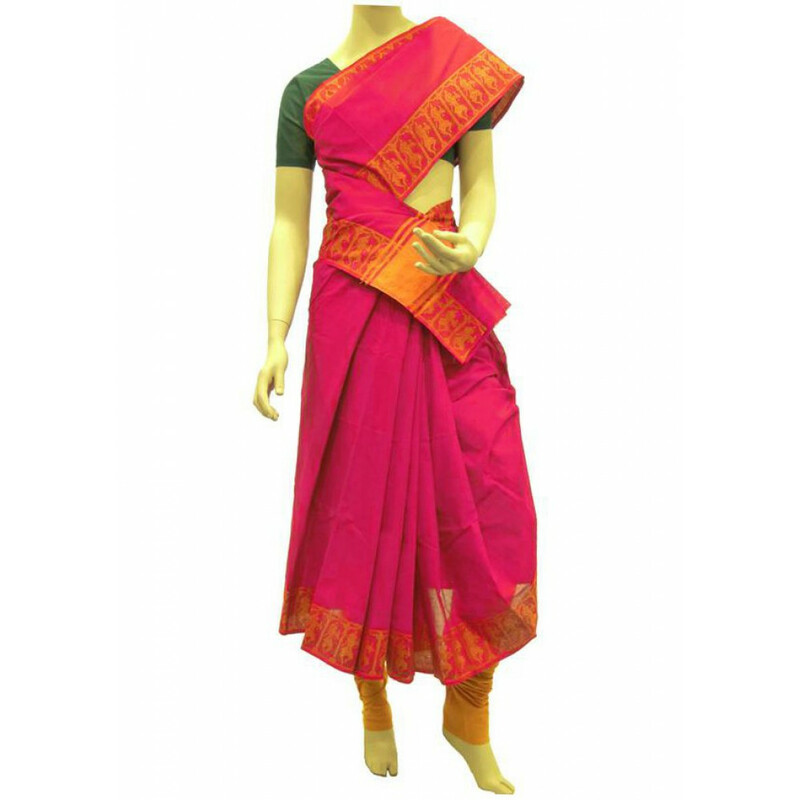 ..
A reddish pink silk saree designed with stylish and contemporary beige checks on the border. ..
A pleasant selection of art silk sarees designed with rich patterns and mystical colours which are i.. Raw silk drapes with printed patterns on body and contrasting blouse materials. Look effortlessly ch.. This Gift Card is valid for a period of 1 year from the date of issue. This Gift Card can be on..
We are back with yet another line of magnificient silk cotton sarees designed with stylish borders a.. Simple silk sarees in pure silk specially designed to suit casual occassions. Makes a great gifting ..
Colourful pavadas for fun little girls with Apoorva Silk top and Cotton skirt to light up their day ..
Handloom Kanjivaram Silk lehengas with blouse material. Specification: Pure Silk, Pure Zari, 3.25 Me..